New York car insurance requirements are some of the most comprehensive in the US. In New York you must carry “no fault” coverage as well as minimums for bodily injury and property damage (details for minimum amounts of coverage are below). To get cheap auto insurance quotes in New York make sure that you know the below details and that you are carrying the right amount of car insurance as a New York driver. There are a number of courses that a New York driver can take to reduce the cost of their auto insurance as well as a number of car features which may reduce your car insurance costs. We list them below. Discounts are also available to New York “safe drivers” so remember your driving record counts. 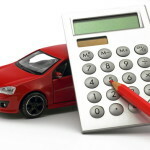 How Do Insurance Claims Affect Car Insurance Rates? Do Electric Cars REALLY Save You Money?